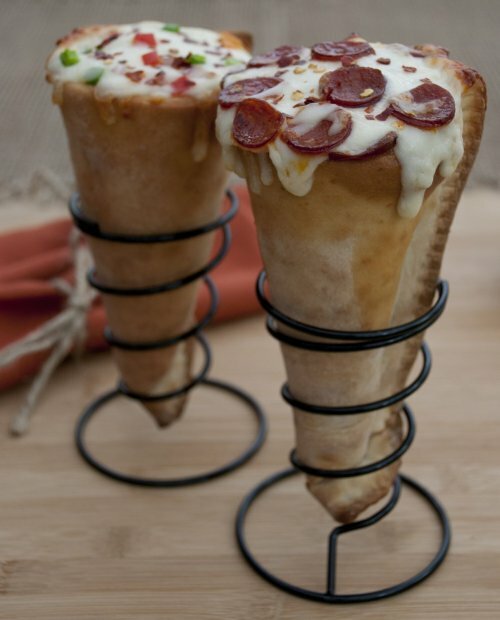 The “Grilled Pizza Cone” is perfect for the person who likes pizza ingredients, but wants a way to make sure they don’t lose any of that orange pizza grease. The low-surface-area design means the ingredients won’t get browned. They’ll be bathed in that delicious orange grease. The manufacturer describes these as “grilled pizza cones” so I guess you’re supposed to put them on the grill. But really, if you’re murdering the very idea of pizza this badly, anything goes. Start a trash fire in an oil drum and throw the pizza cones in there and then eat the trash. We live in trash world now, this is your dinner. laughinacorner: BUT ITS SO FUNNY.